, as well as DDB Sydney, BMF, Droga5 and Publicis Communications. Clemenger Sydney took the account from DDB in 2013 with Tourism Australia also appointing DT (now AKQA), to handle its digital account at the time. Publicis agency Digitas will now lead the digital creative services, replacing AKQA which defended the account in the digital pitch process. The dual pitch processes ran separately but during the same time period and were led by CMO Lisa Ronson. Ronson has quickly become one of Australia's most high profile marketers since taking the top job in 2014. This is first pitch she's run in her time at Tourism Australia. M&C Saatchi is now tasked with leading the creative output for Tourism Australia globally with China, UK, US and South East Asia identified as key markets, inking a three year contract. It also will re-evaluate the long-standing 'There's Nothing Like Australia' platform. M&C Saatchi has a long-standing history with Tourism Australia, having launched the Lara Bingle-fronted spot that has become infamous across the world. The campaign was banned across the UK for its use of the word 'bloody'. Its effectiveness has been debated, with some praising the ad for its provocativeness and memorability, but others criticising the work for not appealing to overseas tourists and using inappropriate language. When M&C Saatchi won the account back in 2005, it gave up its position as creative agency for Tourism New Zealand. It was M&C Saatchi that coined the '100% Pure' tagline for Tourism New Zealand - a tagline that is still used today. Once a pitching machine, M&C Saatchi hasn't landed a significant account in several years. It also lost the NRMA business last year, but Tourism Australia could mark the start of its revival heading into 2019. A controversial part of the pitch process was the shortlisting of Droga5. The New York-based agency hasn't had a Sydney office since its abrupt departure from the Australian market in 2015. Following the success of Droga5's Tourism Australia Super Bowl work, which teased bringing back the Crocodile Dundee movie, the agency landed itself on the pitch, ruffling the feathers of some local agencies. 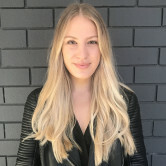 AdNews understands to win the account Droga5 was looking to tie-up with Thinkerbell. The speculation was strengthened when Thinkerbell launched the next iteration of the Crocodile Dundee campaign in October. According to sources, Tourism Australia was encouraging Droga5 to open a local office to service the account, but David Droga wasn't interested in officially returning to the market. If Thinkerbell was appointed, it's likely the decision would have raised questions around a conflict of interest, with PwC - which owns a stake in the agency, running the pitch process. AdNews understands Droga5 was involved in the last TA creative tender back in 2013 and agreed to partner with Ogilvy to secure the account, but ultimately lost out to Clemenger and DT. The Senate is currently chasing Tourism Australia for media and advertising contracts to the value of $100m that have been unaccounted for under the leadership of now PM, Morrison, between 2005-2008. Last week, the senate supported a Labor motion to order the government to produce “all documents” relating to any contracts Tourism Australia entered between January 1, 2004 and January 31, 2006. It demanded the contracts be tabled this week. The contracts involved M&C Saatchi, the first spanning across global creative advertising services. It covered the design, production and rollout of the controversial “Where the bloody hell are you?” tourism campaign, which was filmed offshore. Details of the contracts themselves are not available on the AusTender website, where government contracts are posted. Morrison insisted they are confidential because the services they covered were delivered overseas. Tourism Australia and all agencies mentioned declined to comment on the appointment. An announcement is expected in coming weeks. 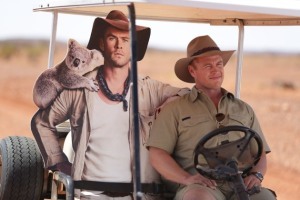 Tourism Australia has appointed M&C Saatchi as its lead creative agency and Digitas as its digital agency after a six month long pitch process, AdNews can reveal. It's a major coup for M&C Saatchi being one of the most prestigious and high profile accounts in Australia. M&C Saatchi last held the account in between 2005-2008 under Scott Morrison's reign as managing director. The agency launched the iconic 'Where the bloody hell are you' campaign for Tourism Australia, but later lost the account to DDB. M&C Saatchi beat incumbent Clemenger Sydney in the PwC-run pitch, as well as DDB Sydney, BMF, Droga5 and Publicis Communications.